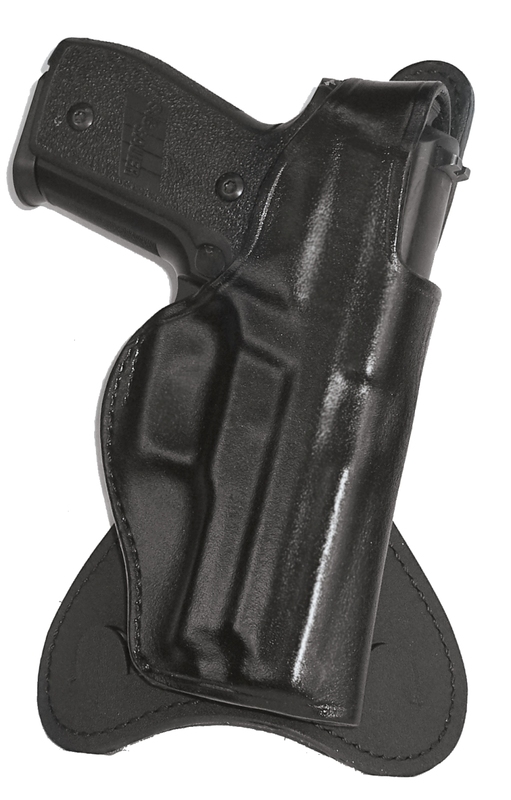 H720-PADDLE HOLSTER [H720] - $105.20 : Don Hume Leathergoods, Simply the Best! PADDLE HOLSTER WITH THUMB BREAK - AUTOMATICS & REVOLVERS - H720 This paddle holster is designed for easy removal. The wide suede covered Kydex reinforced paddle with two barbs spaced 3" apart will hold the paddle in place when drawing the gun. This holster rides slight muzzle to the rear.